If there is one thing I love, it's a pamper evening with a face mask, bubble bath and good book. 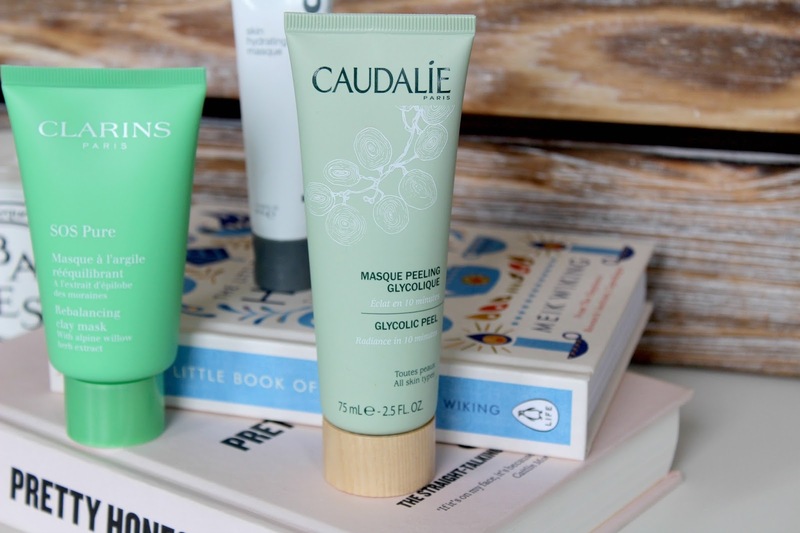 I have tried a number of masks over the years, some I've loved, some I've chucked out and some that keep finding their way back in my shopping basket so I thought I'd share three face masks that keep doing the rounds on my bathroom shelf at the moment. 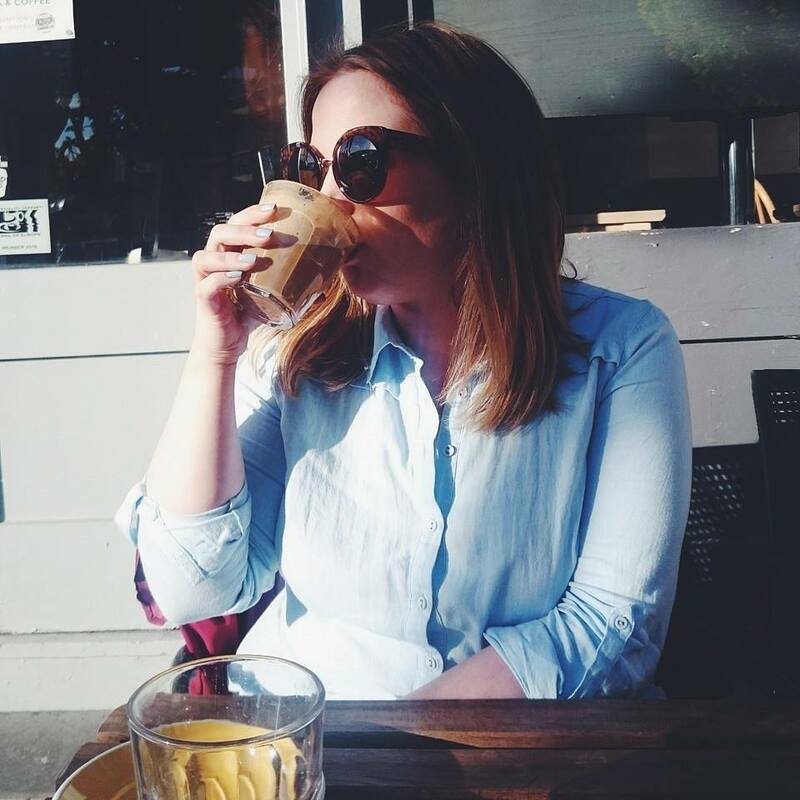 I have combination skin which gets really dry in the winter months so I always have a range of different products ready for when I'll need them most. What works for me, may not work for you so just keep in mind when researching masks for your own pamper routine. 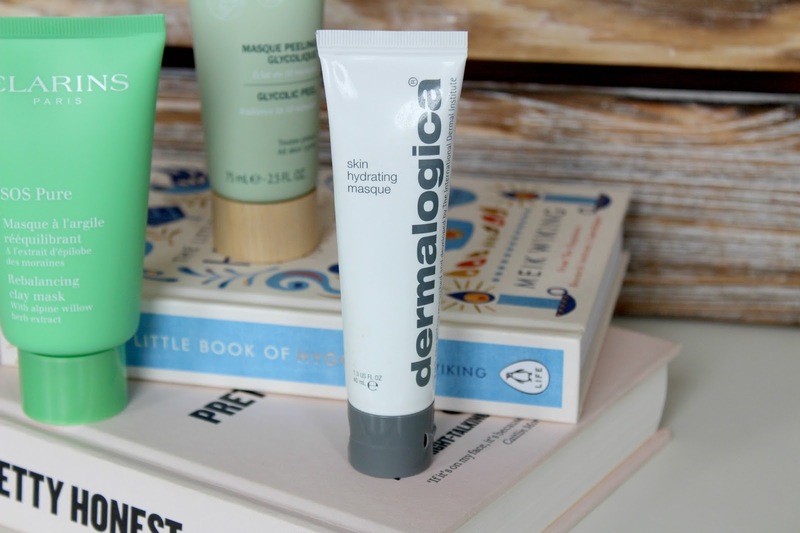 When my skin really needs a boost, I always turn to Dermalogica. I've had skin mapping done instore previously and find it so interesting because it always tells me what my skin is in need of so I trust what they recommend every time. The Skin Hydrating Mask is a moisturising mask with calming botanicals and antioxidant vitamins which always gets my skin back on track, especially in the colder months. The unique cross-linked Hyaluronic Acid helps trap moisture so it is released over time for lasting hydration. The smell does take some getting used to but you only have to use it for 7-10 minutes so it's doable as the results are worth it. 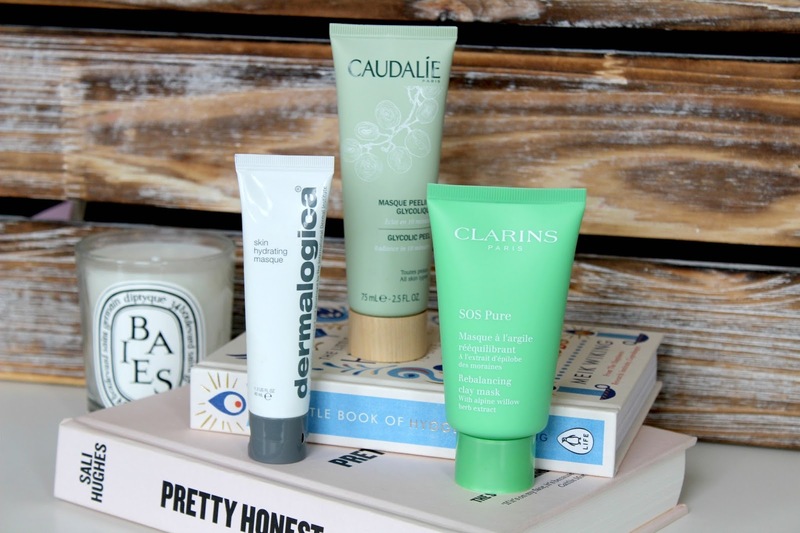 Another favourite, Caudalie features heavily in my bath routine as their products are so luxurious. The Glycolic Peel is suitable for all skin types and instantly revives a dull complexion in desperate need of radiance boost. It contains 85.7% natural origin ingredients giving my skin the ultimate renewal treatment. You just apply to skin, twice a week to gently exfoliate and activate skin renewal. I find this really helps my skin when it is on the oily side, especially in summer as it just leaves me looking brighter and more refreshed. 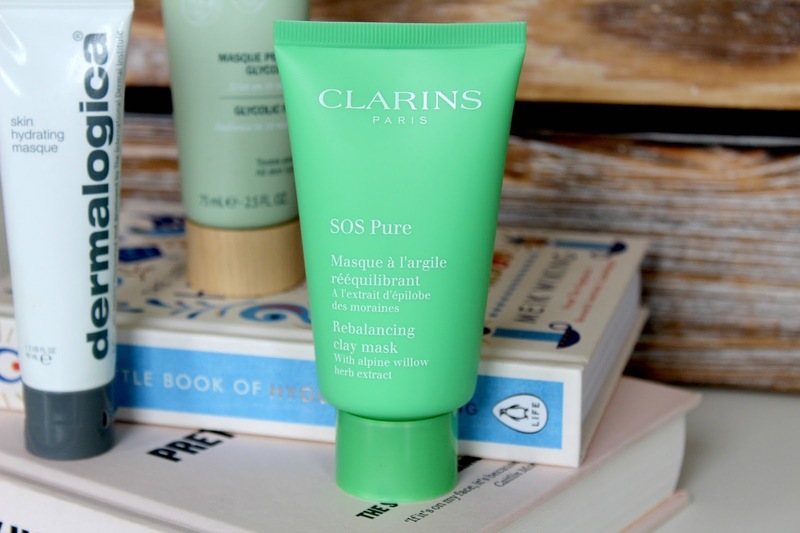 My Newest addition and quickly a fave, the new Clarins SOS masks are fab with the Purifying mask being my go to. The clay based face mask contains organic alpine willow herb that is perfect for oily and combination skin, it was made for me! The mask is green in colour, which Arran loves as he doesn't like colourless masks, is it a man thing? Is it less fun? Who knows. It leaves skin toned, matte and rebalanced thanks to its non-drying, powdery cream-paste texture. It's a real treat for skin and something I would buy again in a heartbeat. There are also two others in the range, one for hydration and one for comfort, I also love the bright packaging. These sound great. I sadly haven't used these face masks yet.